2014 KTM 125SX project bike. You know what we miss about the AMA Outdoor Nationals? The beautiful sound of crisp 125 two-strokes. It is like music to our ears to hear a sea of 125s being let out from behind a 40-man gate. Nothing can match the sound of every engine on the track being redlined to its next shift. The body English of the riders hanging off the rear fender has become a lost art. 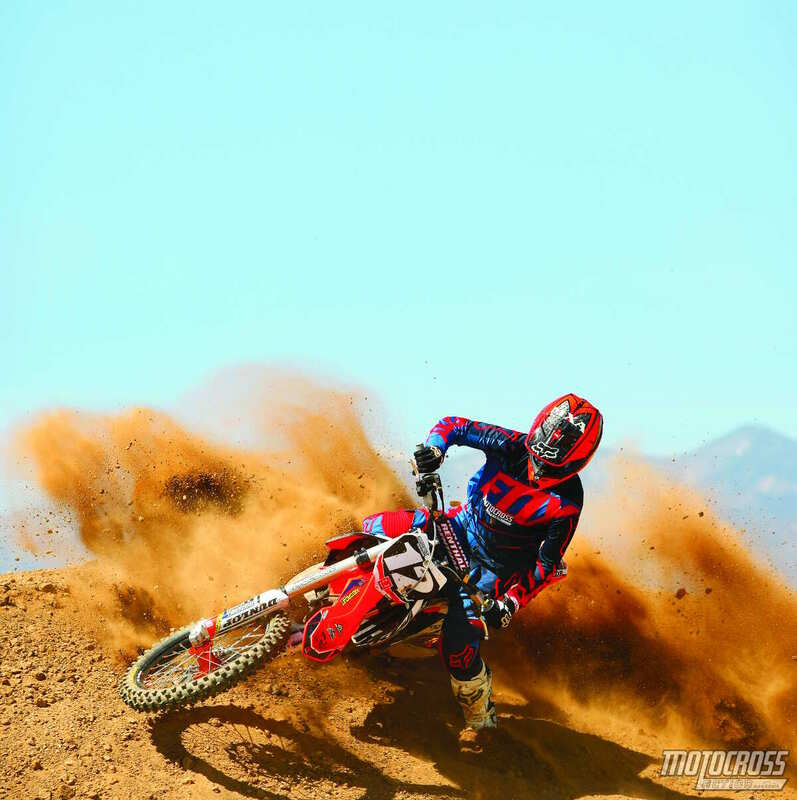 The lightness of the two-stroke as it is whipped on the fine line of disaster has been replaced by the heavy follow-the-leader dullness of four-stroke racing. Best of all, nobody could ride a 125 perfectly, but they didn’t need to. Making mistakes was part of two-stroke life. Remember the days of James Stewart on his KX125? It was unreal the things he could do on that motorcycle. He threw his factory Kawasaki around like it was a toy, scrubbing it at every opportunity and making believers of all the 250 four-stroke riders he beat. 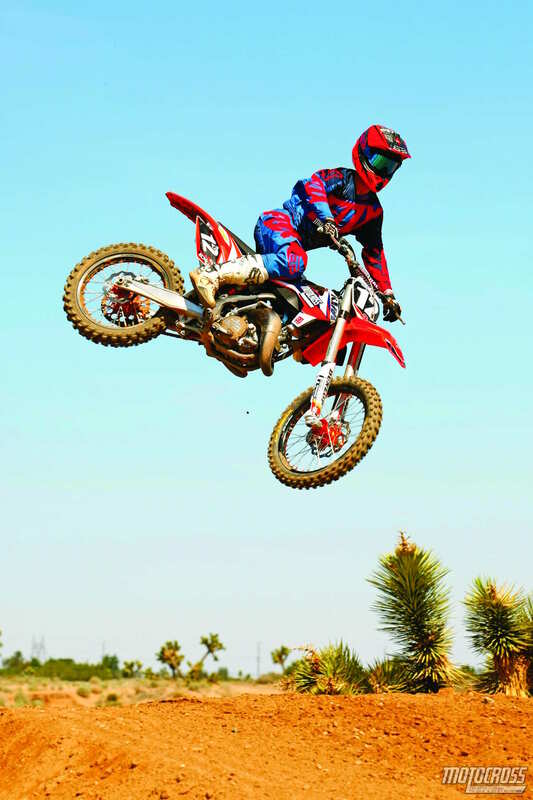 Since moving to four-strokes, Bubba has had to throttle back his natural exuberance in order to stay on the straight and narrow. Okay, enough ranting. Bottom line: none of us knew how much we would miss the two-strokes until they were gone. 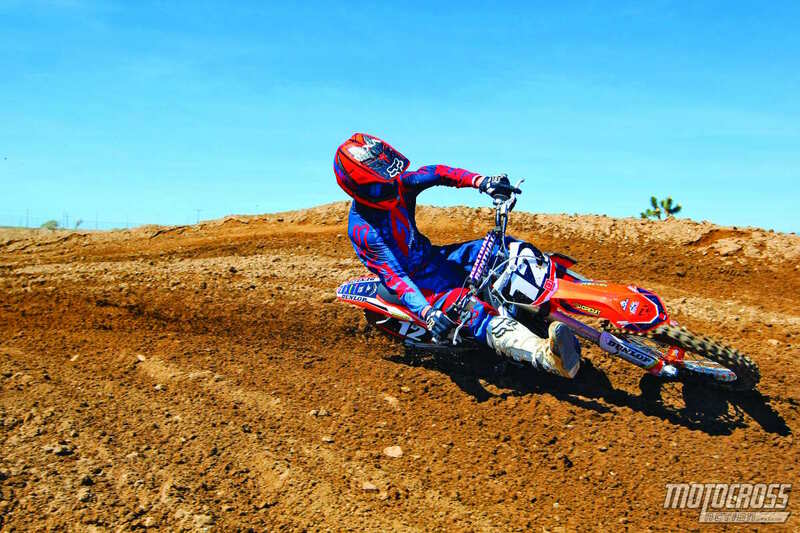 Now, whenever the MXA wrecking crew gets a chance to ride, test or build a 125, we take full advantage. OKAY, ENOUGH RANTING. BOTTOM LINE: NONE OF US KNEW HOW MUCH WE WOULD MISS THE TWO-STROKES UNTIL THEY WERE GONE. Not everyone can afford a brand- new bike. They make do with what they have in the garage or what they can afford. In the back corner of MXA‘s old school workshop sat a forlorn 2014 KTM 125SX (click here to read what we wrote about 2014 125SX when it was a new bike). The bike was still stock, but beat into the ground from a hard year of racing and a few more years of neglect. We wanted to see what we could do with a 2014 KTM 125SX (and we enlisted the help of KTM on the project). KTM’s Tom Moen and David O’Connor helped us at every step along the way—and KTM’s high-falootin’ Factory Services department even pitched in on the engine. Small changes made a big difference on our 2014 KTM 125SX. We ported the cylinder, used a thinner base gasket and switched the ignition to left-over aftermarket SXS model. 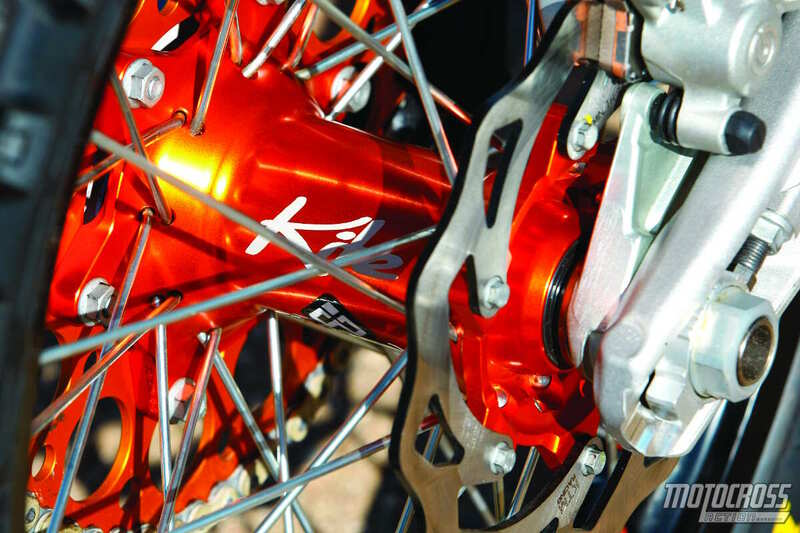 We got as much technical help as we could from KTM Factory Services. The bike hauled the mail! Our imaginations started running wild as we thought about what we wanted to turn this bike into. Our first focus was on massaging the engine, but once we cleaned up the porting, installed a thinner base gasket and exchanged the OEM ignition for a high-rpm SXS unit, we had a great base to start from. When the bike was dyno’ed in-house at KTM headquarters, the temperature was warmer and the elevation was lower than where we raced it. We thought the jetting would be close at our test tracks, but we were wrong. There was a bog. Going a few sizes up on the pilot jet and a full turn out on the air screw did the trick. 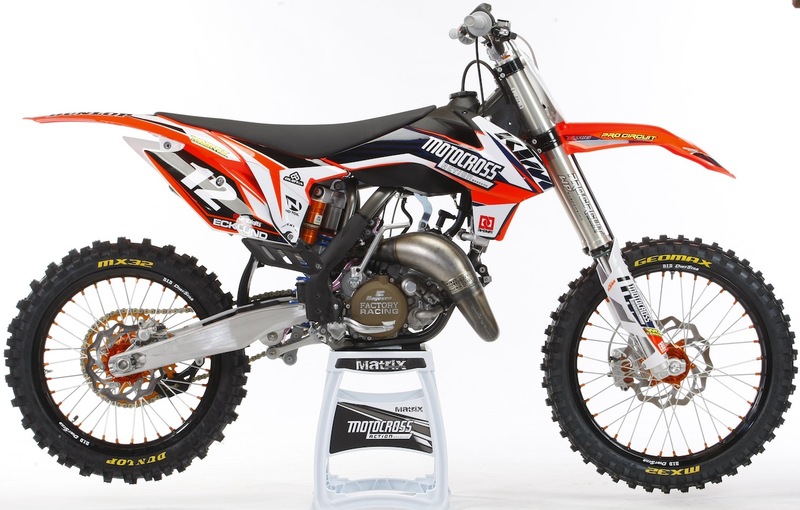 Our next step was to add a Pro Circuit Works pipe ($241.95) and an R-304 silencer ($119.95) to match—although we must admit that the stock 2014 KTM 125SX exhaust system was no slouch on this ported engine. Next on the agenda was a Boyesen Rad valve ($179.95) and Power X-wing ($129.95) to improve airflow to the engine. We also included a Boyesen clutch cover ($92.95) and ignition cover ($86.95) that added strength and aesthetics. Last but not least, we added two teeth to the rear sprocket using a Renthal rear sprocket. We needed lower gearing for the specific motocross use we had in mind. If we were play riding or using our 125SX as a Garage Queen, maybe we would have kept the stock Bonneville gearing. IF WE WERE PLAY RIDING OR USING OUR 125SX AS A GARAGE QUEEN, MAYBE WE WOULD HAVE KEPT THE STOCK BONNEVILLE GEARING. 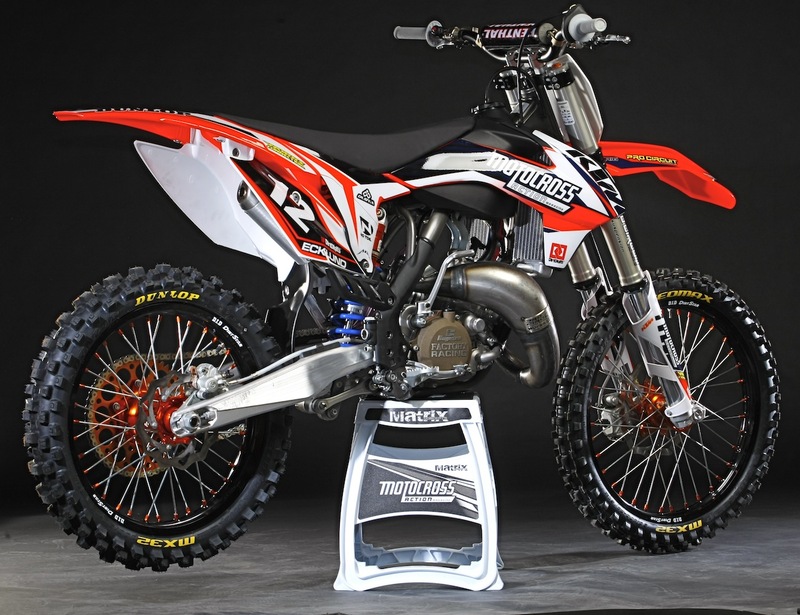 Studio shot of the 2014 KTM 125SX. The suspension was next on our to-do list. 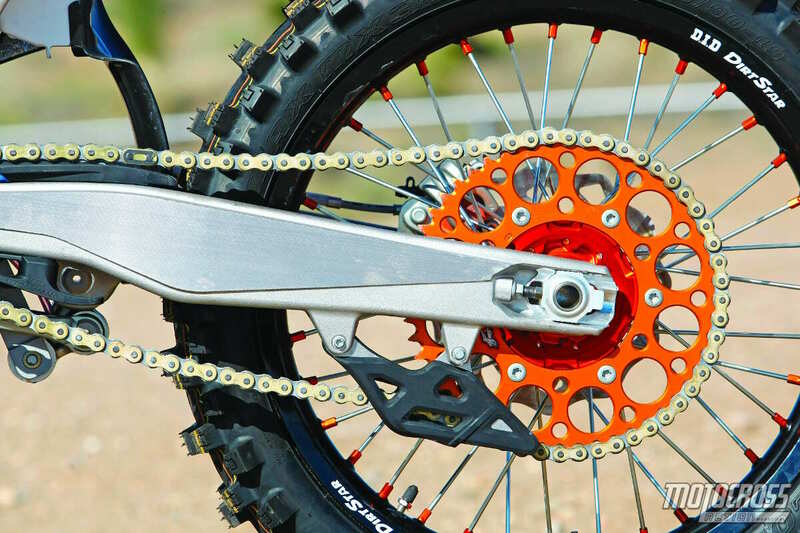 The biggest shortcoming of the 2014 KTM is its stock suspension—and for some reason the 2014 KTM 125SX suffered more than the big bikes in the fork department. Our KTM 125SX suspension was harsh in the middle of the stroke while still blowing through on hard hits. We spent a lot of time back in 2014 testing KTM suspension with Pro Circuit’s Bones Bacon, and in the process we developed a nice set of numbers for the KTM 350SXF and 450SXF. So, we called Bones up and asked if he could look up our 2014 suspension settings (albeit for a 350SXF) and translate that knowledge to our old 125SX. Bones re-valved the shock and forks to our testers’ weight and ability. He also used some of his own internals to aid in bottoming resistance. 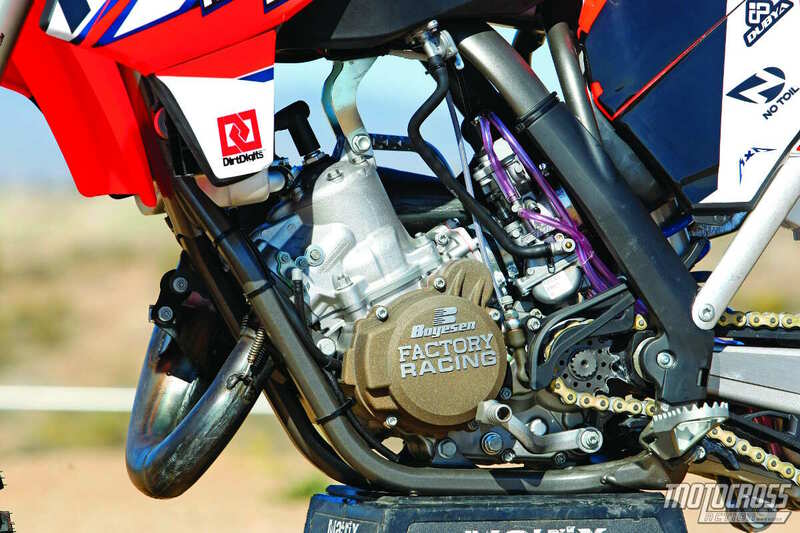 A 2014 KTM 125SX can become frustrating at a track with big jumps due to its small displacement and suspension issues—especially compared to the 2017 125SX with is AER air forks—but it’s not a slouch and with our KTM engine mods and an experienced rider, there were very few jumps that couldn’t be conquered. Kudos to Bones. His suspension setup was confidence-building. He solved all our complaints with the re-valving. It was much plusher in the initial part of the stroke, with the added benefit of good bottoming control. We couldn’t wait to hear the KTM sing. One kick was all it took to make us dreamy-eyed. The bike sounded crisp on the stand, but once we got the bike on the track, we had some jetting issues to iron out. As for the engine, there is no doubt that the cylinder and pipe mods were tailored toward Pro riders. Most of the power was found on top, and to get the most out of the 125SX, we had to hit our shift point perfectly. Riding a high-rpm 125cc two-stroke is a skill that will probably be lost in future generations, but you haven’t lived until you’ve held it wide open through a fast sweeper and clicked off three gear changes in 200 feet. It not only sounds good, it feels good. WE COULDN’T WAIT TO HEAR THE KTM SING. ONE KICK WAS ALL IT TOOK TO MAKE US DREAMY-EYED. We used a Pro Circuit Works pipe and a R-304 silencer to open up the flood gates to the full potential of the engine. The pipe was one of the culprits of our jetting issues, but we fixed the jetting with a few basic tricks. We added two teeth to the rear sprocket using Renthal sprockets. Our reasoning? We wanted to get the rpm in the meat of the power as fast as possible. 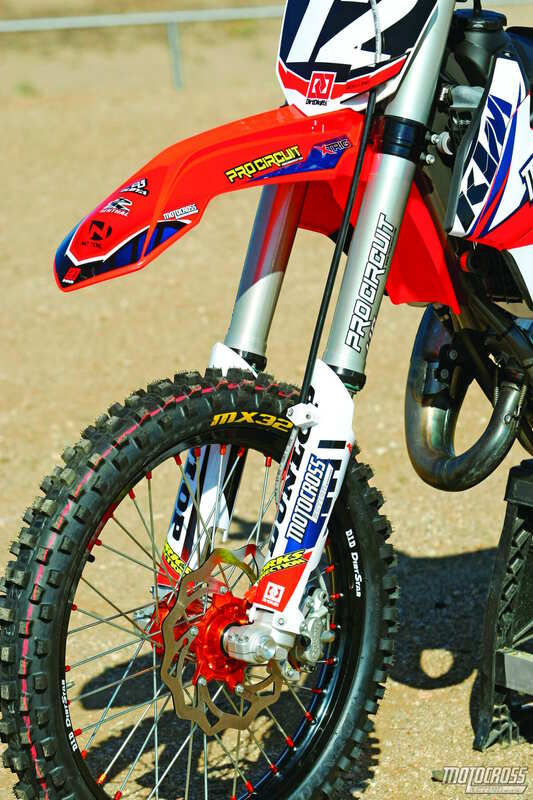 We aren’t trail riding our 125SX and thus we know the purpose of proper gearing for each race track. 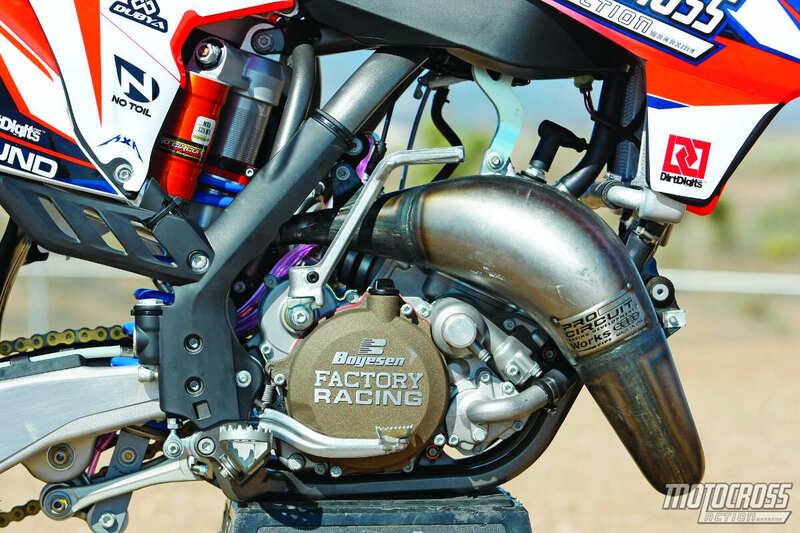 The powers that be in our sport may have forsaken the 125 two-stroke. They made it obsolete by rules that favored four-strokes with double the displacement. But, the 125 two-stroke is making a comeback—not because it got the bureaucratic stamp of approval, but because this is the way a motocross bike is supposed to be: fast, twitchy, light and fun. We didn’t spenn a lot of money. Our biggest expenditure was on the Dubya wheels, but we wanted the confidence of know that we had the strongest wheels we could get. All of our engine mods, including the ignition cover, clutch cover, reed cage, pipe, muffler and porting cost us a little over $1000. Out of pride we put on brand new graphics and new tires. As for the bike itself — we had it already, sitting in a corner wasting away —so in a round -about way it didn’t cost us anything (since we weren’t suing it for anything. But, now we are. If you’ve got an old bike covered in dust—think about cleaned it up, making a list and turning it into a runnin’, racin’ fun machine.